As demand for industry-ready information technology professionals in India continues to rise, given India's pre-eminent position as the global off shoring / outsourcing destination for IT services. Moreover, companies within the country, including those in the public sector, look to optimize their business processes using IT, the demand for qualified IT professionals will be unabated in the foreseeable future. Employers in the IT segment are on the look out for IT professionals with expertise in diverse domains and various platforms. They lament the lack of adequate quality and Skill-sets in students coming straight from mainstream education streams, thus leading to a serious shortfall of the right skills in the industry. This widening gap between demand and supply is the BIG opportunity for those in the IT education and certification Sector. Would you like to make the most of this opportunity? ActIT Technologies & Educational Services Pvt. Ltd has been one of the leading providers of Information Technology (IT) education & training since last couple of years and has trained more than 5,000 students. 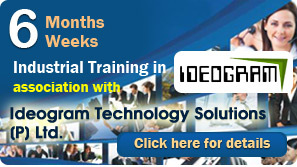 This is an attempt to motivate & support the upcoming entrepreneurs to venture into the IT Training business model. Why ActIT as a Choice? Leverage a well established brand that is recognized. Franchisees are provided complete guidance and training to run their centers. Course fees are finalized in consultation with Business Partners. Profitable, sustainable and scalable business.